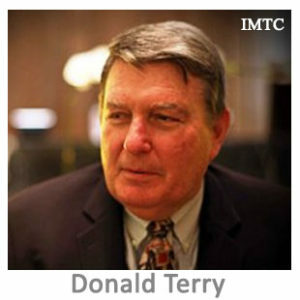 Donald F. Terry is an expert in matters involving financial inclusion, particularly remittances and microfinance. Mr. Terry was the General Manager of the Multilateral Investment Fund (MIF) of the Inter-American Development Bank (IDB) from its inception in 1993 until July 2008. Under Mr. Terry’s leadership, the MIF helped to transform Latin American microfinance into a commercially sustainable industry, which now reaches more than ten million clients, and serves as a model for the rest of the developing world. Currently Mr. Terry consults with the World Bank and the International Youth Foundation, and he provides strategic advisory services to bi-lateral donors, and several international organizations. He is also an adjunct professor at the Morin Center of Boston University Law School. Before joining the MIF, Mr. Terry served as Deputy Assistant Secretary of the Treasury for International Affairs, where he received that Department’s Meritorious Service Award in 1980. From 1982-1993, Mr. Terry served as Staff Director of three Congressional Committees: The Joint Economic Committee, the House Committee on Small Business, and the House Committee on Banking and Financial Institutions. Mr. Terry is also a member of the Center for Financial Inclusion Advisory Council. Mr. Terry holds a bachelor’s degree in Political Science from Yale University (1968) and a law degree from the University of California Law School at Berkeley (1972). He also graduated from the Senior Managers in Government Program at the Harvard Business School in 1978.